Summary: Many users use SD card as internal storage (a.k.a adopted storage), mostly on Android devices. But when they format or perform factory reset on device, they lose data from SD card used as internal storage. 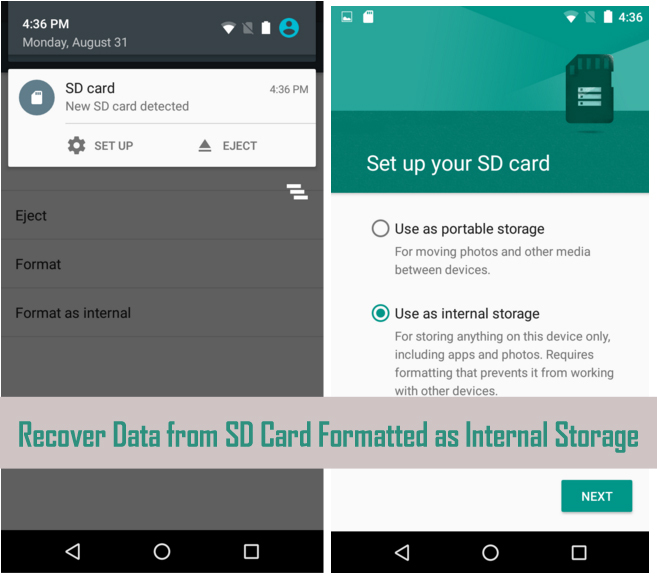 So, in this post you are going to find few, but effective Android SD card internal storage recovery solutions on how to recover data from SD card formatted as internal storage as well as how to fix corrupted or stopped working SD card formatted as internal storage. 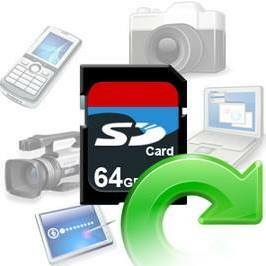 SD card are becoming larger, faster and more affordable day by day. This makes them a perfect device for use as mass storage devices for photos, videos, music or as backup storage device for files. While SD card are generally very reliable as data storage, they do possess some unique risks when it is used as internal storage. The most obvious risk occurred when SD card is particularly used as internal storage on Android devices. At the time when using SD card as internal storage and then you perform format or do factory reset of your device then data stored within the SD card that is used as internal storage also gets erased. And then users look for a solution on how to recover data from SD card formatted as internal storage. Recovering data from an internal storage formatted SD card – 3rd Gen Moto G running Android 6.0. Looks like I’ve got myself in a jam and I’m hoping somebody can bail me out. I flashed my wife’s Moto G3 with Marshmallow (crDroid) several months ago, but when I set the phone up I selected ‘use SD card as internal storage’. Fast forward to now and all of a sudden the phone decides to no longer recognize the SD card and wants to reformat it, although it still has not forgotten it. My initial instinct was to put the card in a computer and try to recover the data through windows explorer. etc., everything found nothing. Research now tells me what when I selected ‘internal storage’ the card was encrypted for the device. So my question is, do I have any options? Is there any way to get the phone to recognize the card again, or preferably, is there any way I can read the card in a computer? There is a ton of critical data on the card and if it comes to it I’m willing to use a service to recover the data, although it’s not clear one exists. That was just example. Similarly, there are many users facing such type problems. I have seen such related issues on several forum, FAQ and community websites asking for help – how to get back lost or deleted data from formatted SD card used as internal storage. But before I share solution with you, let us know why people want to use SD card as internal storage? Why People Want to Use SD Card as Internal Storage? There is only one possible reason people want to use SD card as internal storage. And that reason is – they want to increase the internal memory of the device because the provided internal storage is low/less or it is not enough for users. For example: I have Android phone whose inbuilt memory is just 4GB which is not enough for me to store 8 GB data. Hence, I want to use my 16GB external SD card as internal storage. And when I accumulate 4GB internal + 16GB external SD card as internal, then my phone storage internal storage expands to 20 GB. Additional Reading: How to Fix Unreadable Micro SD Card In Simple Steps! But expanding the internal phone storage with the help of SD card also brings some problems. What are those problems? Well, just find it below. You will notice that you are not able to move or transfer files from PC to phone using USB cable. You will find that some of the apps are not working properly (it is because apps needs access to SD card). You will not be able to take screenshot and display the error message – it isn’t allowed by the app. File browsing will stop working and even file manager will no longer work. Generally, when user faces such problems they tend to format SD card or perform factory reset to fix the problem. But formatting SD card or performing factory reset, delete the data from the SD memory card as it is used as internal storage. Note: If you want to use SD card as internal storage after you have performed formatting, you can reboot the device or Switch OFF and Switch ON the device. Well, it is frustrating when anyone formatted SD card as internal storage and thereby you face such problems. And the worst problem is that formatting SD card erases all files stored within it. But stop worrying about it anymore. Below I have listed few solutions that would definitely going to help you to restore data from SD card formatted as internal storage. This is an effective (only when you have not formatted the SD card) option that you can apply. When you face any type of problem while installing SD card as internal storage, then you can perform CHKDSK command. Adoptable Storage is absolutely nightmare as card fail frequently. So, with unencrypted SD card you can run chkdsk in Windows to repair SD card and access files stored within it. 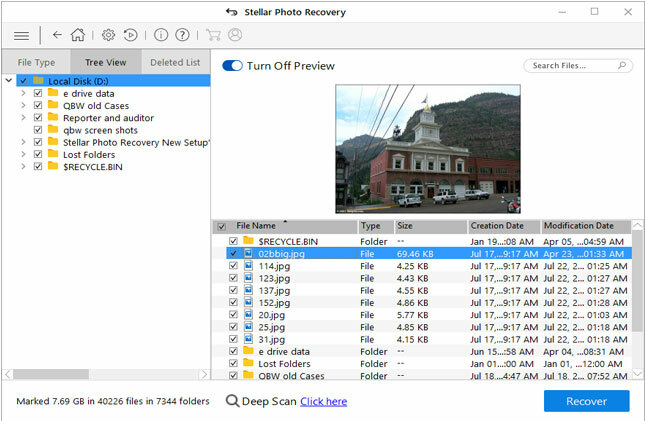 If you have formatted SD card as internal storage and you want to recover files from it, then you can use reliable Photo Recovery software available for both Windows and Mac is perfect SD card recovery tool. The Android SD card internal storage recovery is powerful that will help you to recover formatted/lost/deleted photos, movies or other videos and music and other audio files from SD card. 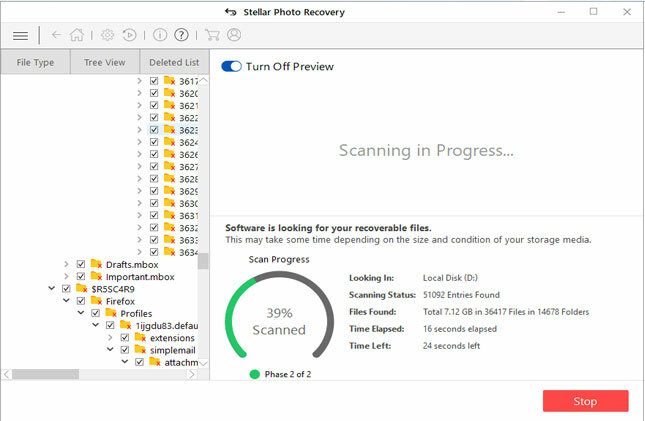 Besides recovering files from SD card the software support recovery of digital media files from other data storage devices such memory cards (SDHC, SDXC, miniSD, microSD, MMC, CF, TF, etc), memory stick, pen drive, USB flash drive, hard drive, external hard drive, digital cameras, Android phone’s memory card, etc. How to Open Memory Card & Recover Files Without Formatting It? I have been doing research and I have found that there are people asking for solutions on how to fix SD card formatted as internal storage but got corrupted or stop working at all. Well, in that case you can run CHKDSK command to fix the issue and for this you have to eject your card out of your Android phone. 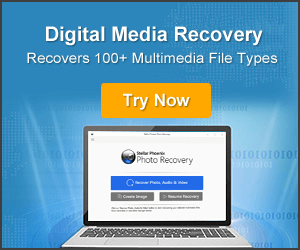 Note: Since you have formatted your SD card, it is recommended that you must first retrieve your important multimedia files from the card by using Photo Recovery software that is mentioned-above. 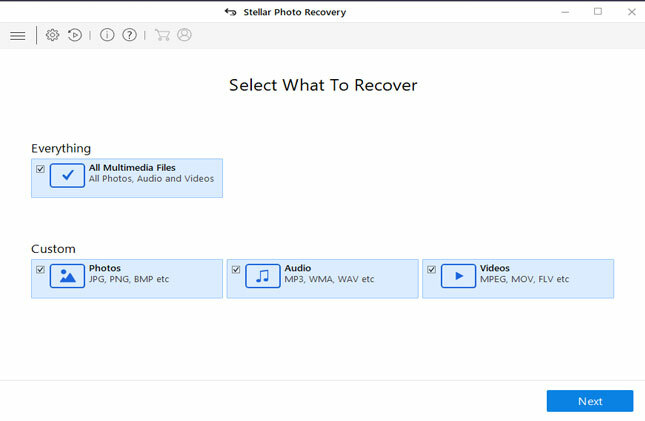 Once, you recover multimedia files, you can now move ahead and follow the steps to fix SD card formatted as internal storage not working or got corrupted. Insert SD card into card reader and connect it to Windows PC. On your PC, click START, type “CMD” in search bar and press ENTER button. A new command prompt window will get open. 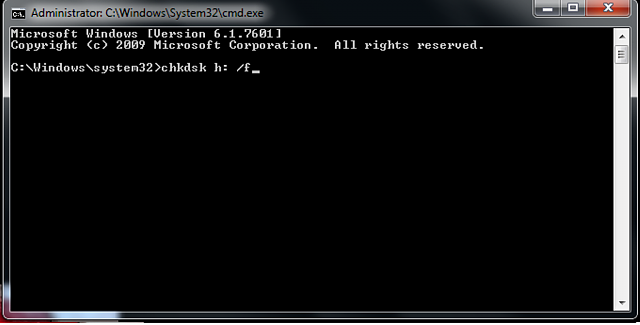 Now type the following command: “chkdsk /X /f H:” or “chkdsk H: /f” and press ENTER button. Here you need to replace H: with your SD card letter name. This command will find for the corruption and errors and if found any it will fix them. On the successful completion of process, insert your SD card back to your Android phone and mount it as internal storage and I hope your problem would be gone now. Always keep proper and valid backup of SD card files before formatting it. 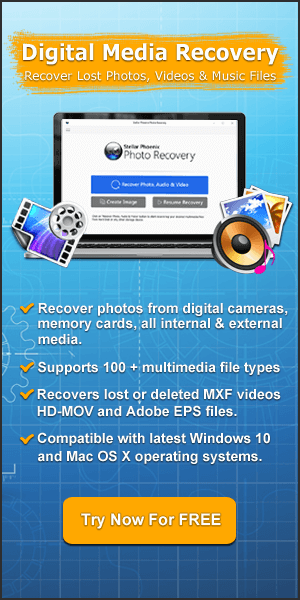 Use reliable SD card data recovery or recovering files from formatted SD card used as internal storage. So, those were some effective solutions and I am sure you were able to recover data from SD card formatted as internal storage by following any of the above mentioned solutions. But in case, if solution 1 fail, then you must follow solution 2. Beside that don’t forget to follow the solution to fix corrupted or not working SD card formatted as internal storage. Looking to recover data from SD card formatted as internal storage. Here find 2 solution. 1. Run CHKDSK Command. 2. 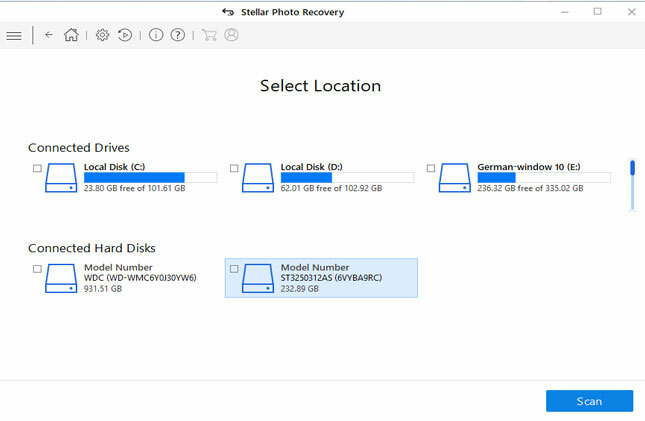 Use SD Card Data Recovery To Recover Data From Formatted SD card Used as Internal Storage. Also Learn How To Fix SD Card Formatted As Internal Storage Got Corrupted/Not Working.